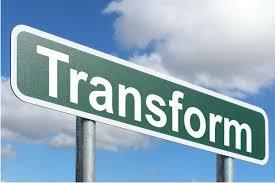 Another brief post this week on an area that we do not focus on very often: data transformation. Data transformation is a relatively mundane yet fundamental data management capability – particularly when dealing with similar data from multiple sources. In each case, we need to transform the data into a common format for aggregating, matching and reporting. This is the physical process of changing data into the required format. We repeat step two at after running our translation to measure the improvement and test the outcome. ← What is reasonable when it comes to PoPIA?